Who would be second when Ivor was around? 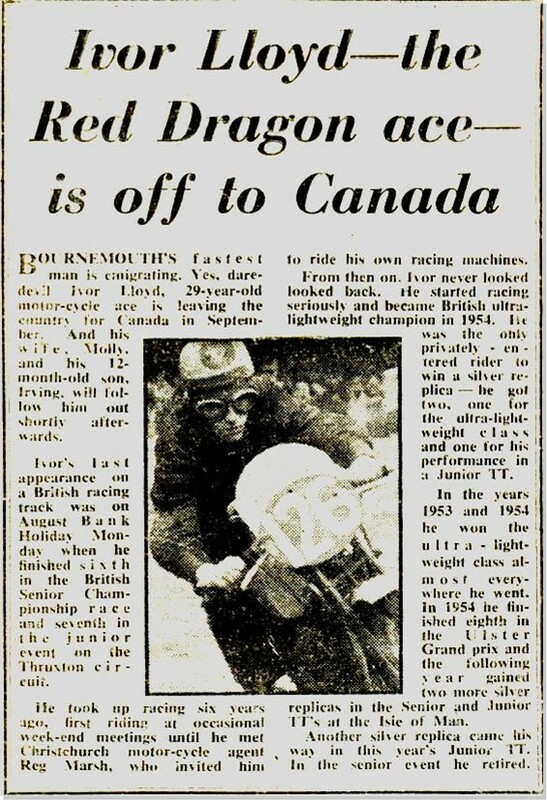 A loss for Wales was a gain for Canada when Ivor Lloyd decided to emigrate with his young family to Canada in 1957. 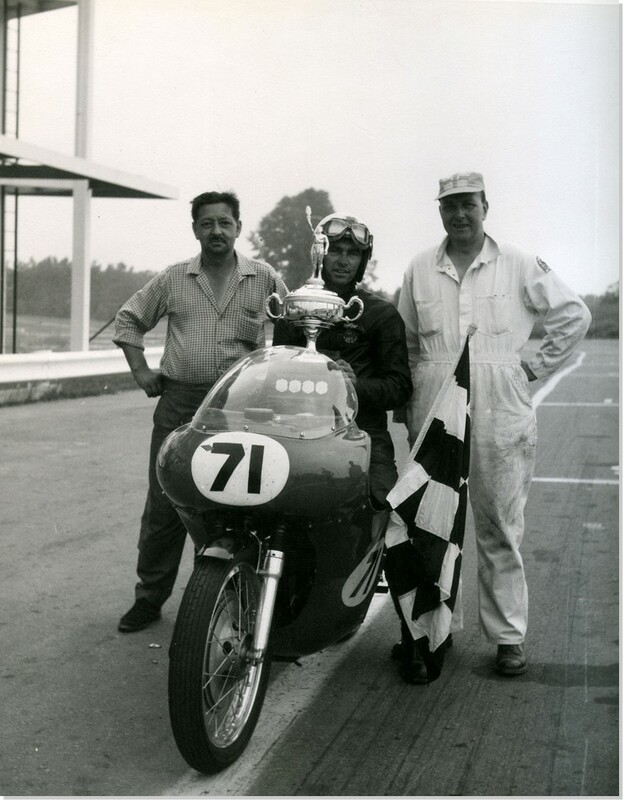 At age 30, he was an accomplished road racer at the peak of his career but, instead, he chose a life in Canada with his wife, Molly, and one-year-old son, Irv. Ivor took a year to get his bearings and then soon reached the heights of the Canadian racing scene, where he was a dominant figure for many years. Ivor’s riding career began at age 18 courtesy of the British army where he was trained as a despatch rider in the year that finally ended the Second World War. After his mandatory military service, Ivor re-entered civilian life and worked as a mechanic and drove double-decker buses. Ivor Lloyd Induction Ceremony 2009 from Northern Ontario Motorcycle on Vimeo. Although born in Abercynon, Wales, he was living, at the time, in Bournemouth on the south coast of England. 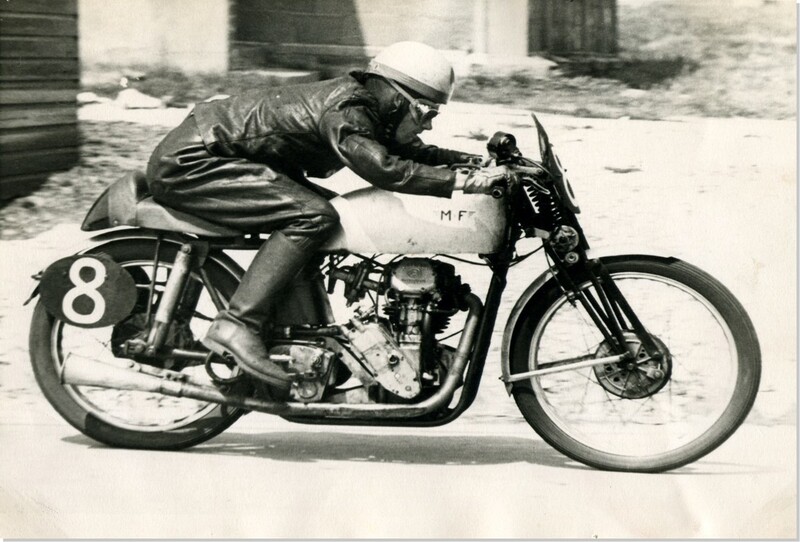 Times were tough long after the war had ended, but Ivor was eventually able to buy his own motorcycle and travel to the numerous race circuits within a few hours’? ride. 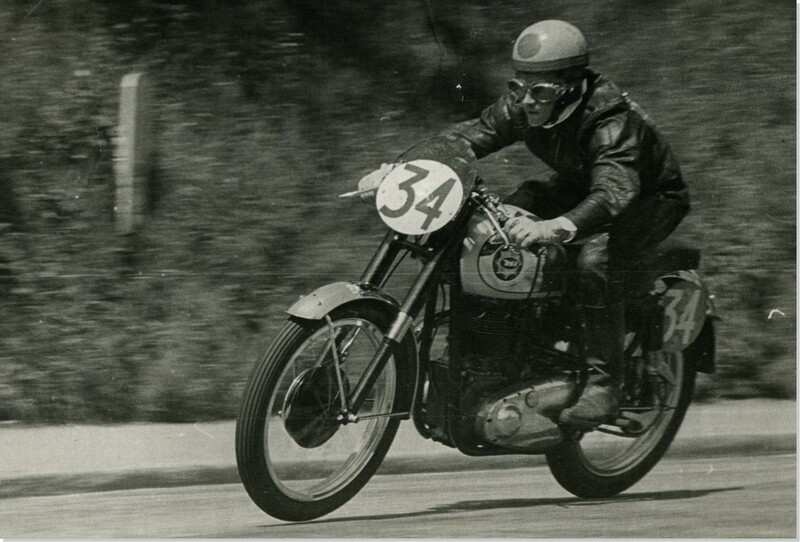 His street bike, a 1946 BSA, also became his first race bike in 1952 with the removal of road-going equipment after he’?d ridden it to the track. Few riders of the time could afford a thoroughbred race machine or the means of transporting it, so most had to improvise with what they had. 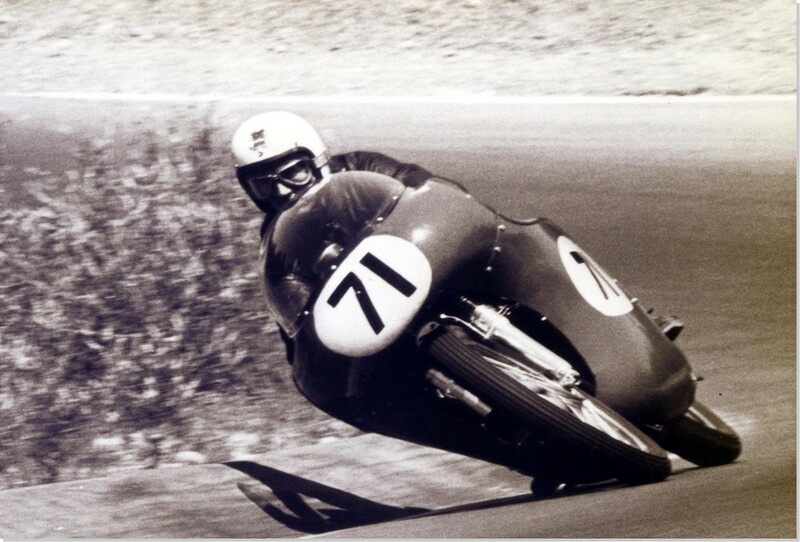 Ivor’s aggressive riding style attracted notice from a local dealer who offered him sponsorship on a BSA Gold Star, the next thing to a dedicated racer and a bike on which many champions started their careers. 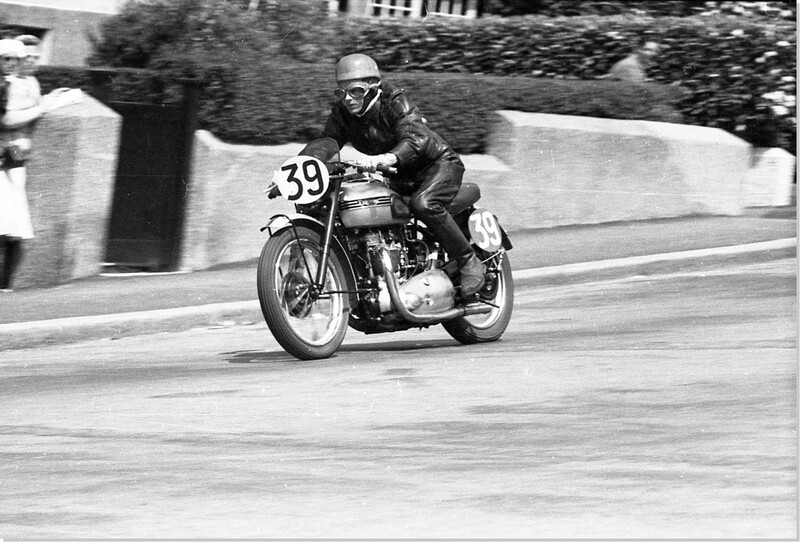 The BSA factory concentrated most of its development work on the 350 cc Gold Star, and it was on one of these that Ivor and teammate, Ken James, placed second overall in the Thruxton 9-hour production race in 1955, and won it outright in 1956. 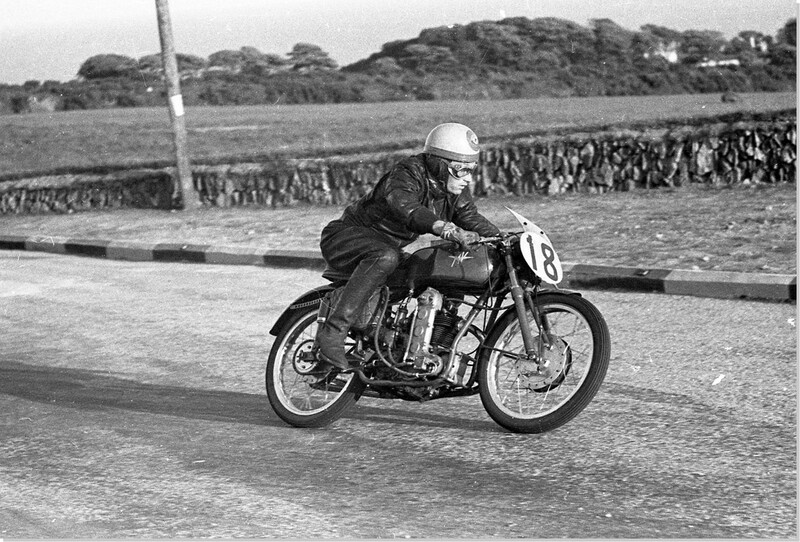 The following year, Ivor emigrated and Ken James and another teammate on the same bike led the first 500 miles of the 9-hour before the engine failed. 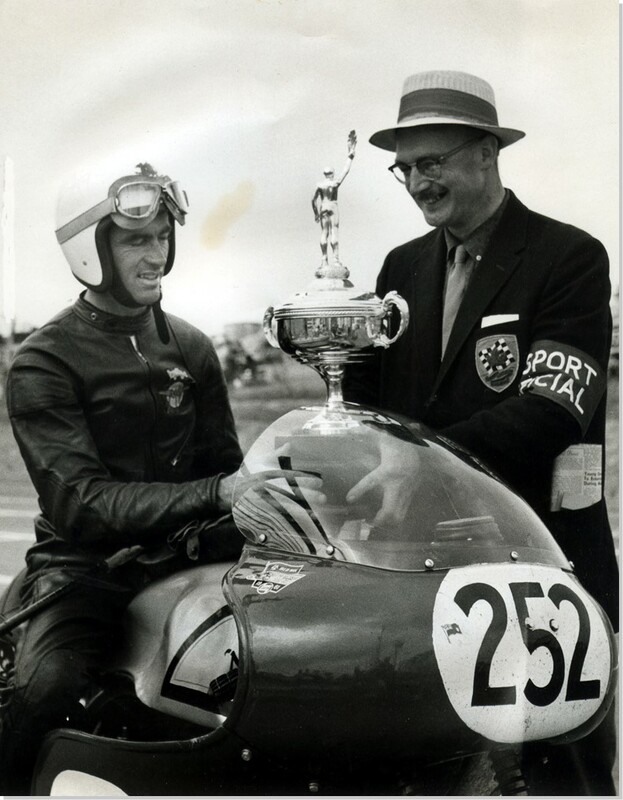 By this time, Ivor was a two-time road racing champion of Wales, was British champion in the 250 cc lightweight class, and had earned five Silver Replica trophies in the Isle of Man. 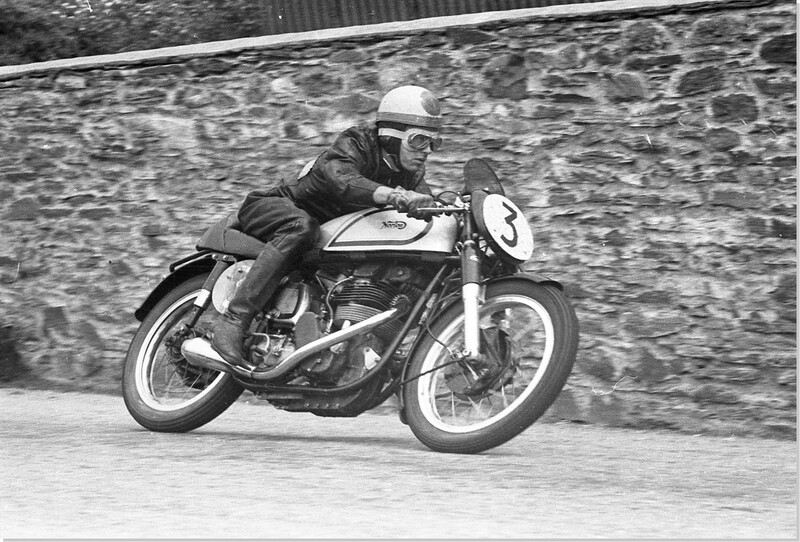 His race mounts were as diverse as a pre-war 250 cc Excelsior Manxman, a 125 cc MV Agusta, 350 cc AJS 7R, 350 and 500 cc Nortons and Gold Stars, and a 500 Triumph. Once in Canada, the silver-tongued Welshman had the young Mike Duff enthralled with his stories of the old country and its racing scene. “Had it not been for him, I might not have gone to England, or not have gone as soon as I did. The year or two before my first year in England, Ivor had me in stitches with his tales of riding in the Island and at Aberdare Park in Wales. Apparently, he frequently won on the Welsh circuit. Ivor was a great story teller. Don’t know if all Welsh are the same but, for sure, Ivor was a champion of tall tales. I think some of them were true”, reiterated Duff. 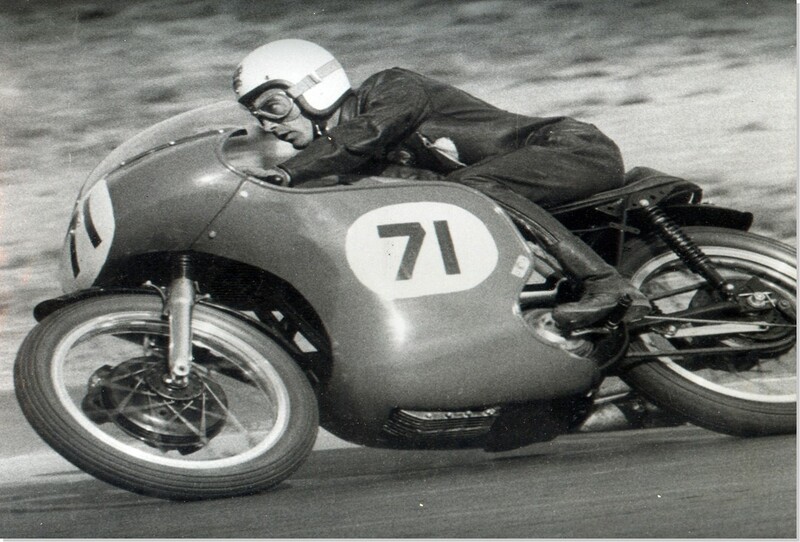 Ivor’s success with the old Norton continued well through the ?60s, taking the famous BEMC headdress at the Indian Summer Trophy Races in 1963 and performing, generally, as top dog. 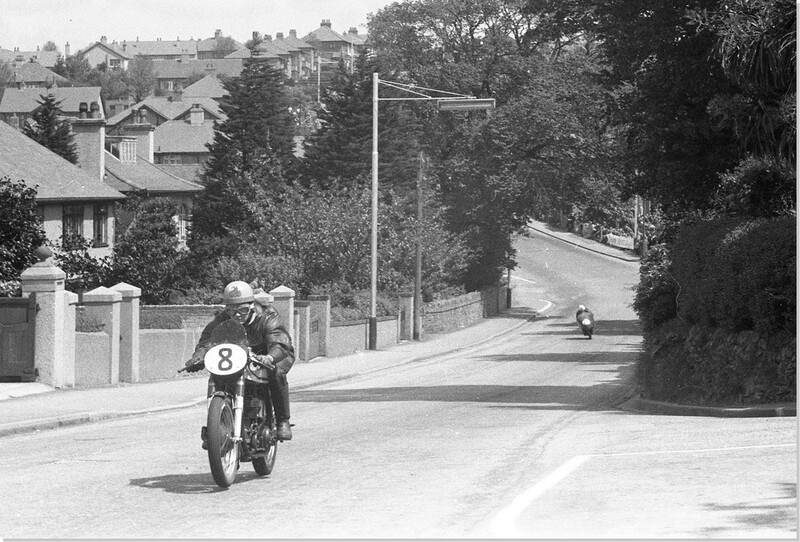 He was sponsored by the legendary Bob Hansen on a G50 Matchless and, later, by Harry Firth on a Norton 750 Commando Production Racer. 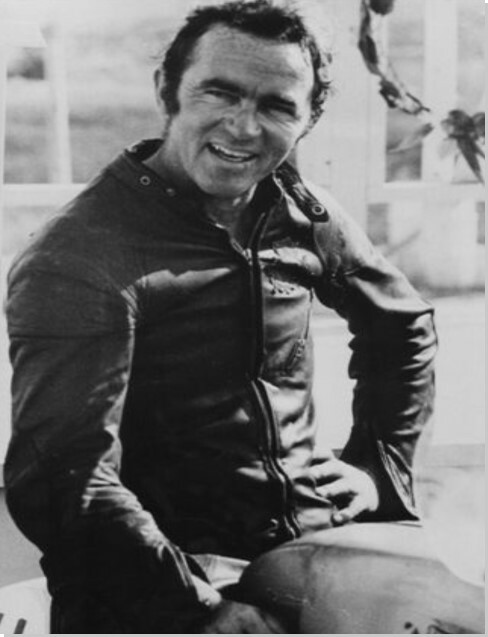 John Nelson was a sponsor in 1971 on a Honda and, in 1973, Ivor rode a Ducati 750 before finally hanging up his leathers with more than 50 victories in North America.